Amber is a British knitwear designer who creates gorgeous accessories with luxury natural fibres in a minimal and stylish colour palette. Her work is inspired by the colours and formations of natural rock landscapes and a fascination with the soft colour washes of American abstract artist Agnes Martin. Amber knits her soft, textural pieces on vintage knitting machines in her home studio in East Bristol. She exhibited as part of Shanghai Fashion week, has been awarded an innovation award by the Craft Council and even designed a Christmas jumper for the Queen’s waxwork at Madame Tussauds. 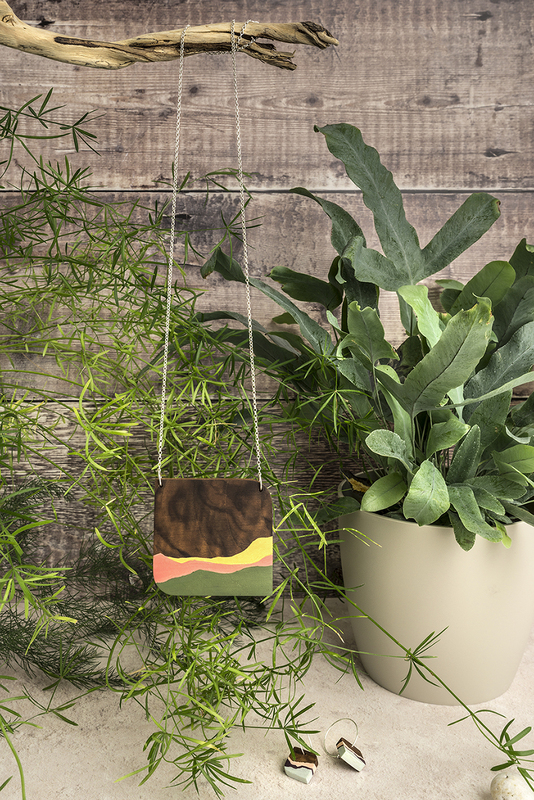 Maple statement pendant by Bianca Rose Wood. Jewellery maker Bianca Pardhy-Avis uses reclaimed hardwoods, such as oak, walnut and maple to make her hand-painted necklaces and earrings. Bianca’s designs, which currently use a carefully selected palette of greens, dusky pinks and golds, are reminiscent of rolling hills or cliff top seascapes. Ceridwen’s studio is nestled between a woodland nature reserve and the River Avon, so it is no surprise that her work is overflowing with flora and fauna. Badgers, hares, foxes and flowers are all brought to life in her colourful illustrations that adorn wash bags, pencil cases, tote bags, mugs and stationery. Whether it’s a reusable tote bag adorned with a cheerful print or a scenic lampshade, she aims to make beautiful products which promote a love of our natural world. 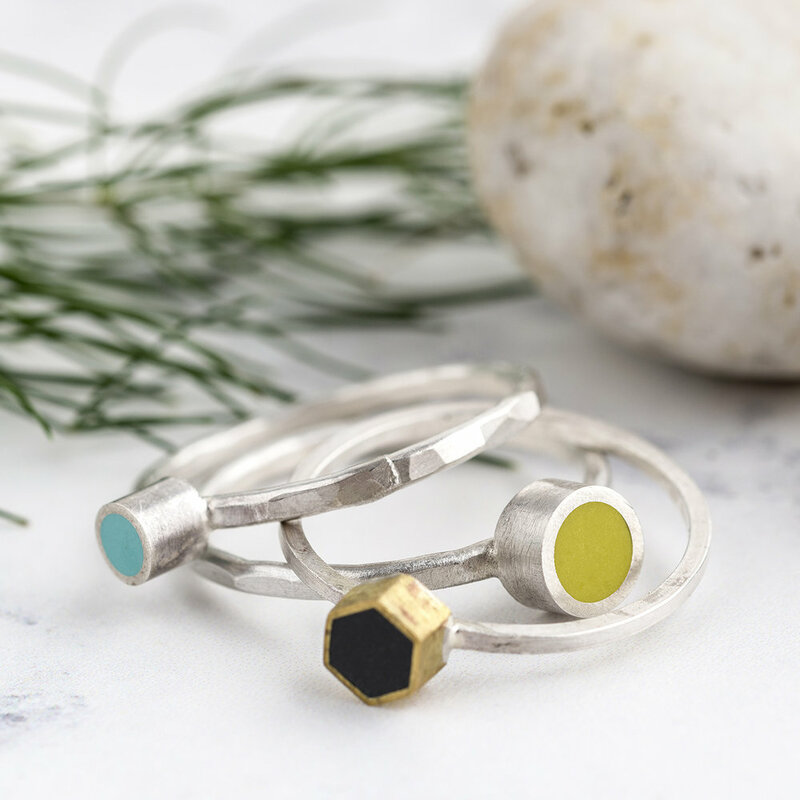 Jeweller Clare Lloyd is passionate about colour, she wanted to make it the focal point of her designs without using gem stones so she started experimenting with polymer and resin clay and Colour Designs was born. Each element of her jewellery is made by hand in her studio in the Silk Mill in Frome. Clare mixes each carefully chosen colour to reflect the colours she sees around her in the Somerset countryside.